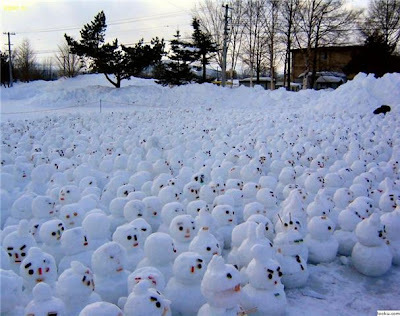 My Liz e-mailed the above picture with the subject "Hundreds Gather to Protest Global Warming‏." Silly snowmen should enjoy infrequent snowfall rather than rueing the falls of yesteryear. Too funny! Miss the snow!